Home / Blog / Fiction publishing / marketing your novel / Is There a Next Generation of Readers? The number of 17 year olds who read at least something for pleasure has dropped dramatically. It went from 31 percent back in 1984 to about 20 percent today. Young people between the ages of 15 and 24 spend an average of 7 minutes a day reading for pleasure. People over 55 spend on average nearly 1 hour per day reading. Older people also read newspapers. Young people don’t. This fact has put great stress on the old-school newspaper and journalism side of publishing. Time for novelists to jump off high buildings? Give up writing? No. But it’s time for writers in general to wake up and look around. The next generation of readers is not guaranteed. We must do more and we must do better if we want to keep kids reading. For concerned parents and teachers, the biggest question is this. 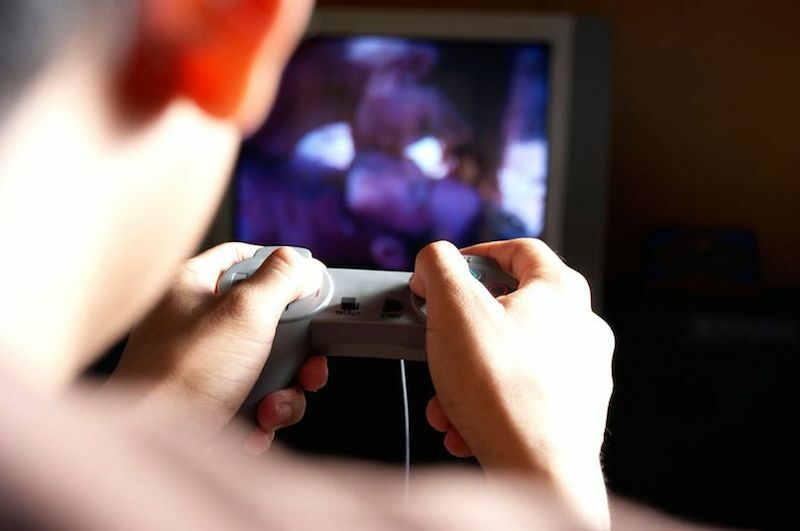 How can a novel compete with a video game that includes sound, action, 3-D imagery and more. The answer? It can’t. At least not very well. So why not pair a novel to a video game? If a kid continually plays professional sports video games like MLB or NFL, find him related baseball and football novels. For baseball, my “Billy Baggs” triology of Striking Out, Farm Team, and Hard Ball will work https://willweaverbooks.com/books/baseball-novel-for-teens/. There are several good YA football novels out there, too. If the kid is focused on fantasy video games, find him good fantasy novels. Don’t despair over video games. Use them as a bridge back to the printed word. Some publishers (and authors) see promise in “value-added” books. I did this recently with my MotorNovel Series: Saturday Night Dirt, SuperStock Rookie, and Checkered Flag Cheater. The trilogy was accompanied by an actual stock car https://willweaverbooks.com/books/saturday-night-dirt/. 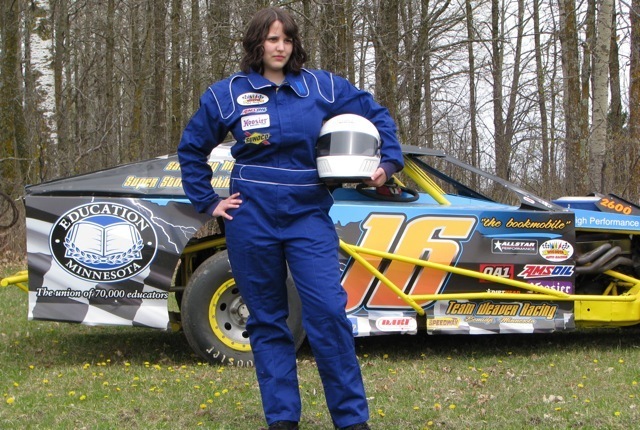 I put together a racing team, hired a teen driver, and brought the race car to schools across the Midwest. Teachers and librarians loved it–as did a big bunch of teen readers (boys in this case), who normally didn’t read books. I figured if I couldn’t catch boys’ attention with a very loud race car–and some novels to go with it–then all was lost. Turns out it wasn’t. It took some serious creativity and effort, but I managed to hook a bunch of new readers. In short, if we make a concerted effort there are successes to be had. Let’s hear your ideas about how to keep kids reading! P.S. My driver, Nicole, is from a serious racing family in Minnesota. Racing is not just a guy thing, and reading is not just a girl thing. What a brilliant prop! Love the racecar. I’m just putting this out there, but what if the adjustment has to be on the writer’s end? My observation has been, with my own teen, that he actually does read… a lot, but just not in the format I’m used to and mostly non-fiction by way of technical, instructional, on-line reading. He recently made a computer “world” for his sister for Christmas. He created Pemberley, from Jane Austen’s Pride and Prejudice. For sure, he has never read the novel, (although I think we have made him sit through every film version to date), and he had to do a LOT of research to build the house and its environs, referencing the book, the movies, the floor plans of one of the homes used in a particular film version, scenes from the films to gauge ceiling heights, etc. In time for Christmas, he built Pemberley in all its glory… and gave his sister the experience of exploring the house using the Oculus Rift. (That’s a 3-D virtual reality head set.) He wins the prize for best Christmas gift ever! (He was sixteen at the time.) So perhaps there is some segue for writers to infiltrate this YA electronic arena? I admit to knowing very little about game design/game world-building/game development. I don’t know the recipe for the reading secret sauce. For me, movies were my path into reading. For my son? I’m not sure there will be a path back into books as anything more than a sort of “primary document” for a different sort of creative path. I suspect a game based on a book might appeal to him. He loved the Harry Potter series, but those served as a sliding board into the games. I wish I had a better suggestion that didn’t involve loss of internet. Thanks for the very thoughtful note. You could be right: we’re in a full paradigm shift. And it’s true that teens (some) still read a lot, but not necessarily in the continuous narrative form…. When my writing students used to despair at “ever writing a whole book,” I once had them do the math in terms of how many words they texted and emailed each day. It was an eye-opener for them in terms of word count. For most, they would have written a novel in a year or less.